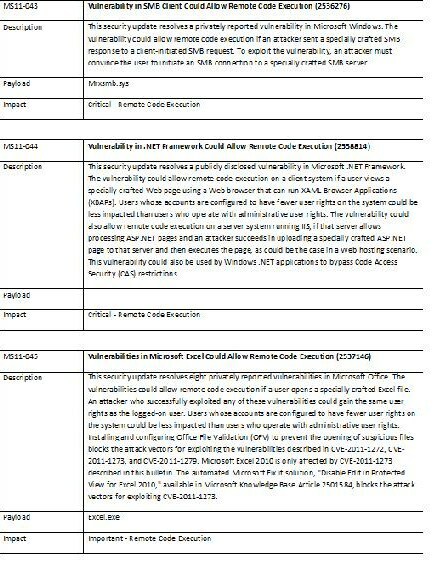 With this June Microsoft Patch Tuesday update, we see a very large set of updates in comparison to those lists of updates released by Microsoft for the months of March, April and May. 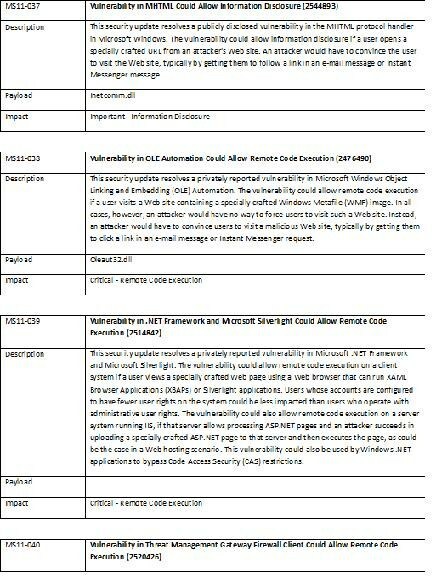 In total there are 16 Microsoft Security Updates with the following rating; 9 rated as Critical, and 7 rated as Important by Microsoft. 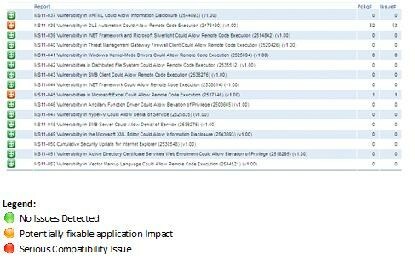 Given the scope and nature of this month’s update, the ChangeBASE team expects to find a significant number of issues raised by the AOK Automated Patch Impact Assessment. 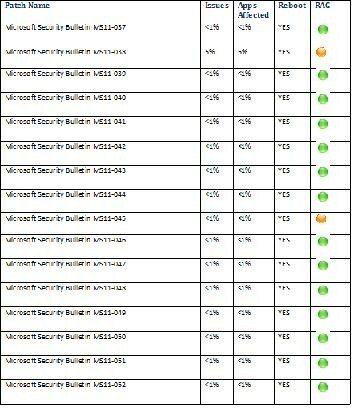 In particular, Microsoft Security Update M11-045 will require careful testing prior to deployment due to the core operating system DLL’s contained within this update. 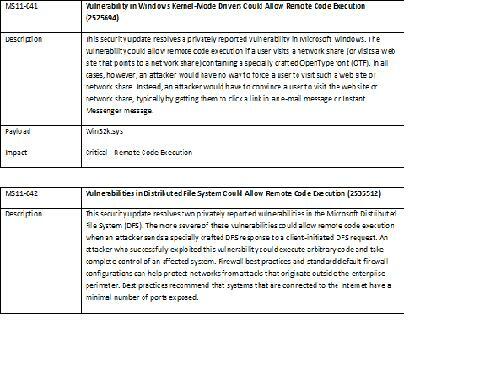 Given the nature of the changes and updates included in each of these patches, most systems will require a reboot to successfully implement any and all of the patches and updates released in this June Patch Tuesday release cycle. 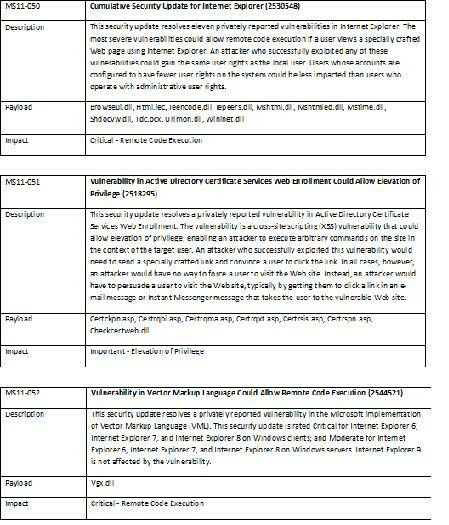 Here is a snap-shot of the AOK Summary Results report from a sample AOK database and the potential issues raised with each Microsoft Security Update.